In light of what Gary had to say about the Book of Daniel, I wanted to share some articles that dealt with the time period in which it was written. The last time I posted in a piece entitled "Star Trek, Proxima b, Nanovehicles and the Unlikely Appearance of Life," I wrote about the Star Trek Vision - a view point that has existed for a long time (thanks to fellow CADRE member Jason Pratt for pointing that out), but has become more in vogue over the last 50 years. The unsupported idea is that the universe is absolutely teeming with life such that any time a planet is thought to have water, it is almost automatically assumed that life exists on that planet. Just this morning, there is a story on Yahoo! News which provides more evidence of this rule. Keith Parsons enters the discussion about God and evil on Secular Outpost  with a look at gratuitous evil. That means evil that God doesn't allow for any rational reason. In other words the kind of thing about which one says, "there's no excuse for that, God could have no reason to allow that." An example of gratuitous evil might be what happened to the woman gunned down in Chicago while pushing her child in the stroller. She was hit by a stray bullet. One might be tempted to think -- I can see why God would allow the gunman to waste his life or even why he would allow the other member he was shooting at to be shot, but why did God have to allow this woman to be hit by the stray bullet? In this piece I'm not going to deal with the inductive issues but to disagree with the approach to understanding gratuitous evil. 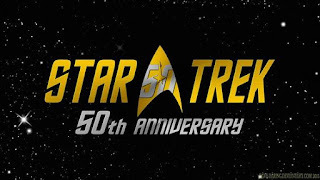 Star Trek turns 50. Wow! 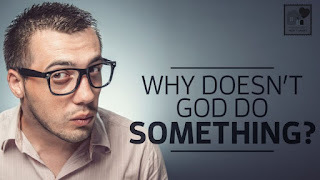 Why Doesn't God "Do Something" About Evil?